Today I imported a client’s existing WordPress.com blog content into their new self-hosted WordPress site and I found a mess of categories and tags. I’ve noticed that understanding how to use tags and categories is a challenge for the average blogger. The biggest reason to use categories and tags is to give your users another way to sort through your content and find what they’re looking for. But, taxonomy tools like categories and tags can also help your blog do better in search results. So, if you aren’t using tags and categories well, you may be missing out on a great SEO opportunity. It isn’t a question of should you use categories or tags it is a question of which to use when. I use both, one for general “categorization” and one for more refined “tagging”. Categories are your blog’s table of contents. Tags are the words listed in your blog’s index. Use categories for broad topics and put a post in only one category. Use tags as descriptive tools to further break down a topic to let spiders and readers know precisely what’s in each post. Tags and categories shouldn’t overlap. Tags are a great way to link together like content across different categories. Most blogs display categories in the sidebar but the once popular tag cloud has gone out of favour. Don’t let that fool you, just because a blog doesn’t have a tag cloud doesn’t mean it isn’t using tags. A tag in and of itself does not improve SEO. The only way it helps optimize your site is by relating one piece of content to another, and more specifically a group of posts to each other. You’re probably already linking to other posts on your site but have you considered linking to a tag or category? Here’s an example. If I write a blog post about Pinterest. I could put the post in a broad category “Social Media” and tag it “Pinterest“. 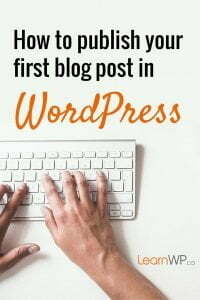 Then when I write a new post I could link directly from the word Pinterest to that previous post or better still, to my Pinterest tag. This way all posts I’ve published and tagged Pinterest will be displayed from the link. In the same way, when I use the term “Social Media” I can link to the Social Media category page. Linking to tag and category archive pages increases the chance that they will rank with search engines. Using the SEO by Yoast WordPress plugin you can optimize your taxonomy and archive pages. Click to Edit a Tag or Category a “Yoast WordPress SEO Settings” section appears at the bottom of the page. 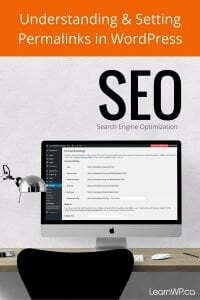 Any tag or category page that you are linking to from your blog content should be optimized with a custom SEO title and meta description. A common problem is overusing tags and categories. If you’re guilty of this (and few of us aren’t) you’ll want to delete, redirect and merge tags. You’ll need to create a list of all tags and categories that you plan to delete so that you can create 301 redirects. If you take the time to create and maintain a limited set of highly relevant categories and tags, you’ll start to see your tag and category pages in search results drawing traffic to your blog. 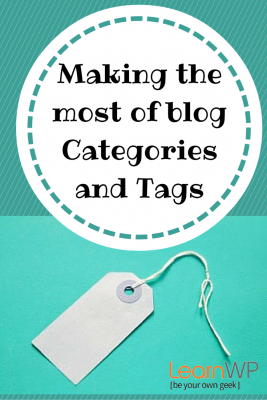 Have you used tags and categories well on your blog? 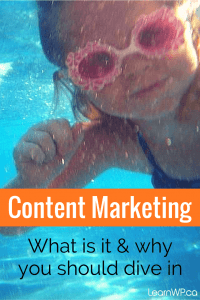 Are you linking from your blog content to your category and tag pages? Please add your comments below. Hi…I have a blog I’ve been doing for about 8 months. I’m doing some things right, picture in every post, lots of interlinking but I heard somewhere that tags should NOT be used. I am using Headway, btw. About this topic — I chose good categories, actually, but the tags are all over the place, there are some tags that only link to one post — for example, I mention an author in the post, and then I put the author’s name as a tag. My question is; is it a good idea to have many tags, with just one or two posts attached? I’d leave my URL but I don’t know if that’s bad form??? My tag cloud is huge. I wondered how people could find (what I think are) my better posts. If they don’t know what to search for, then the next best thing is very specific tags, right? But then, is that screwing up SEO? 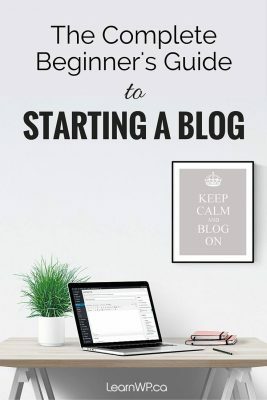 If your blog is new then you will have some tags with only a few posts and that’s okay. Just keep in mind that the purpose of tags is to link your related content together. As your blog grows you’ll want to eliminate any tags that aren’t used enough. It is best to have a minimum of 5 posts to a tag instead of one-offs. Thank you for this article. Very helpful !